Ukrainians and Russians are working to hold on to personal connections as a grassroots defense against the psychological impacts of alienation in conflict. When two countries with ties as strong as Ukraine and Russia come into conflict, relationships are fractured and communities are torn apart. Thousands of families have members on both sides of the border, and as the war drags out and the battle waged in the media for hearts and minds intensifies, once-close relatives are increasingly finding themselves on opposite sides of a bitter divide. One amazing story is that of Serhiy Hilyan, who spent nine hellish days trying to defend Donetsk airport against the separatists and undeclared Russian soldiers — and whose own father is a colonel in the Russian army. Even within Ukraine, loyalties are split between Ukrainian state loyalists and those supporting the separatists. Friendships built over decades are splintered, or severed altogether, and mixed marriages come under strain. The dissonance between the two narratives is so extreme that often individual citizens cannot agree on even the most basic facts about the conflict. There is no middle ground, and heavy pressure to pick a side. Cousins in Ukraine and Russia can no longer talk about politics, because each believes the other has been hoodwinked by propaganda about the war. Even personal identities come under scrutiny — on both sides, Ukrainian-born Russians and Russian-born Ukrainians are finding ways to show their allegiance, for example through changing profile pictures to the Russian national flag, or posting violently anti-Russian content on social media. In most of these stories of cross-border ties, however, there is a kind of quiet resistance against all of the forces seeking to drive a wedge between the ordinary citizens of Ukraine and Russia. Certain topics are now off-limits, but they are still talking. During the day Serhiy fights undeclared Russian soldiers; at night, he phones a Russian army base and asks a Russian colonel about his health. The cousins still talk on the phone, and worry for each other’s safety. Alexander Shilov, a supporter of the separatists, still meets up with his Ukrainian loyalist cousin to play the video game Mortal Kombat. 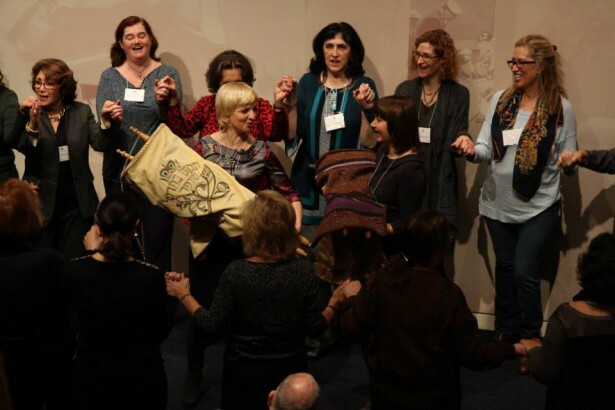 This kind of person-to-person connection is incredibly important, according to Vlada Nedak, who is a member of Project Kesher, an international network of Jewish women. With members in Russian-occupied Crimea and Ukraine’s embattled east, the conflict has had a big impact on Project Kesher’s work. In December, when Project Kesher held training sessions on mediation and tolerance in Kiev, Crimean activists were unable to attend because of a lack of transport links and the complicated passport situation. The conflict is exerting pressure on the women’s network in other ways too. Vlada no longer allows television in her home, to shield her family from the aggression being beamed out by the media. This is one of many small but significant acts of resistance against the violent and divisive narratives which are being weaved around the crisis in Ukraine. As families, communities and networks like Project Kesher work to hold on to personal connections and personal relationships, and to remind each other that there are good people doing their best to help on both sides of the border, they build up a grassroots defense against the psychological impacts of alienation in conflict.